Perfect Old Spanish home in perfect location. 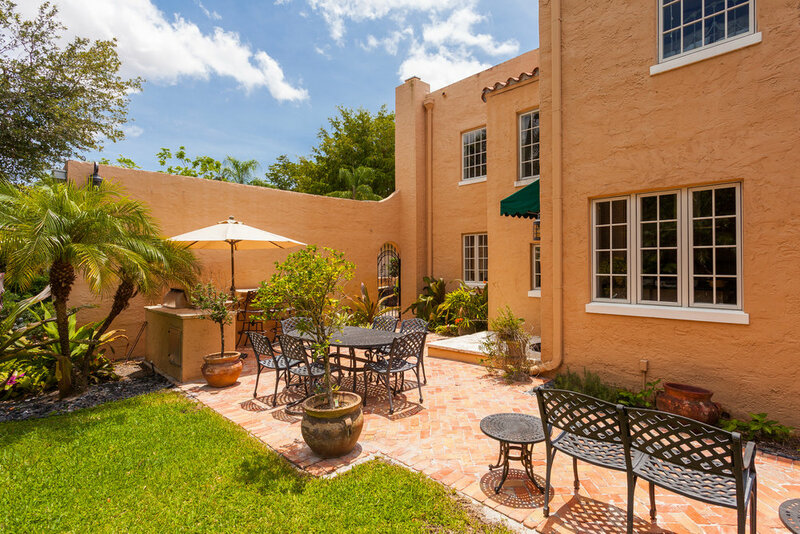 1525 San Rafael Avenue is located in Coral Gables near the Biltmore Hotel and the Riviera Country Club. A classic, two-story 3 bedroom 2.5 bathroom Old Spanish style home in an A+++ location on a 8250 square foot lot, beautifully updated with impact windows and doors, modern kitchen that opens to a spacious family room lined with french doors opening to a large backyard with summer kitchen, and loads of room for a pool. 3 bedrooms upstairs with a master suite with large master bath, gracious front entry foyer/porch, formal dining room, oak floors, fireplace, powder bath downstairs - the works! Utterly charming and thoroughly updated to perfection! Garage, carport & circular drive too!